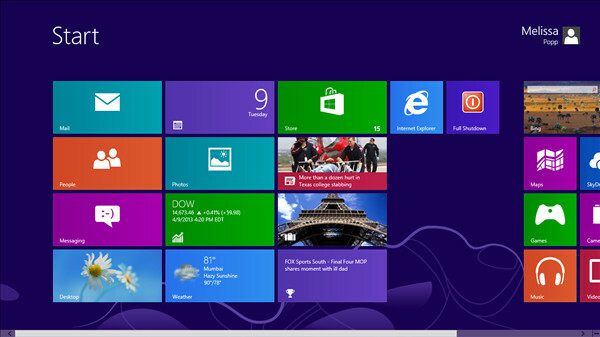 Microsoft fans rejoiced when it appeared Windows 8 would boot faster than any other version of the operating system. 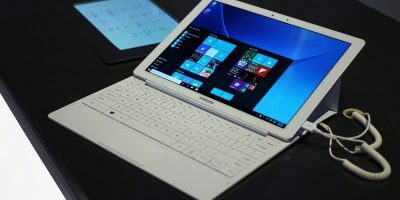 At first, this seemed like an amazing step forward for Windows, but as the OS was released to the masses, it became apparent that the hybrid boot wasn’t all it was cracked up to be. More and more reports have come out that computers hang during the hybrid boot and shutdown process. 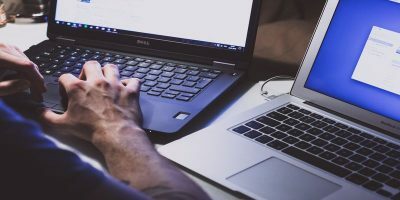 Understanding how hybrid boot and shutdown works, along with how to disable both, can combat any issues you have with this feature in Windows 8. What is hybrid boot and shutdown? Hybrid boot and shutdown are processes that speed up the normal startup and shutdown time in Windows. Normally, when you do either, your computer goes through a complicated process before it actually boots up or shuts down. System Initialization is what takes the longest time for a computer. This is where drivers, services and basic sessions are loaded into memory before your User Session is loaded. Windows 8 hybrid boot takes the concept of hibernating your computer to boot your system. When you hibernate, your system takes a snapshot of the System Initialization for that session to use when it wakes up. This creates a hiberfil with that session data saved which Windows 8 then uses to wake up from that hibernation. 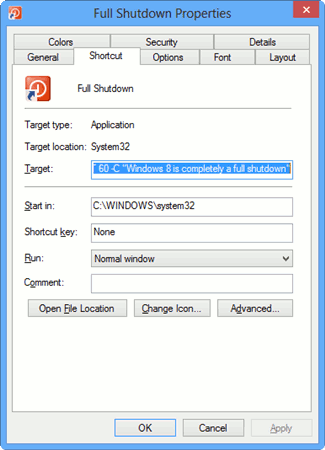 When you shutdown in Windows 8, you are taking advantage of hybrid shutdown, too. This makes shutting down Windows 8 just as quick as booting it up. When you shutdown, your computer saves that session to the hiberfil involved in the boot. The next time you boot Windows 8, your computer pulls that session data from the hiberfil to hybrid boot. If you experience issues you think are caused by hybrid boot, you can disable it in Windows 8. Your computer will then boot slower like Windows has always booted before the release of Windows 8. 1. 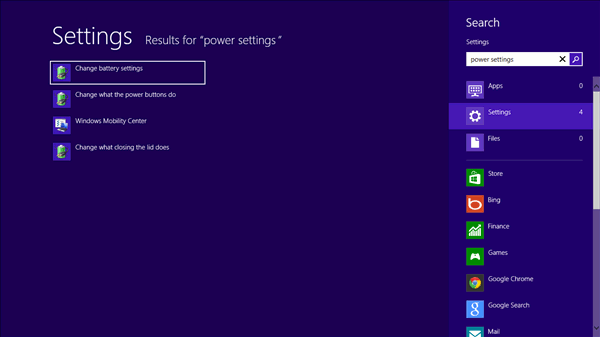 Search for “power settings” from the Start screen. 4. If prompted, enter the Administrator password to change the User Account Controls. 6. Click “Save changes,” then restart. You will see how much slower Windows 8 boots now with hybrid boot turned off. 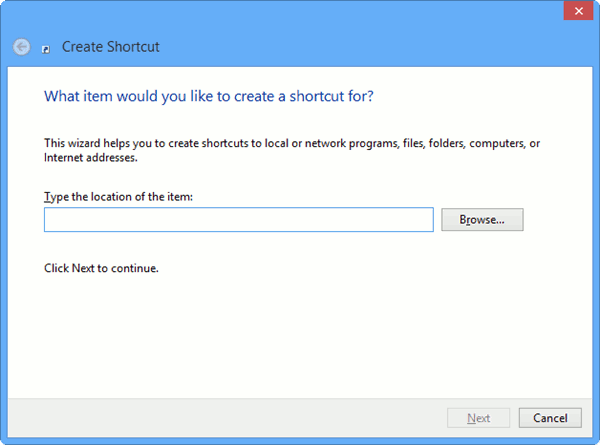 By default, Windows 8 will always do a hybrid shutdown. 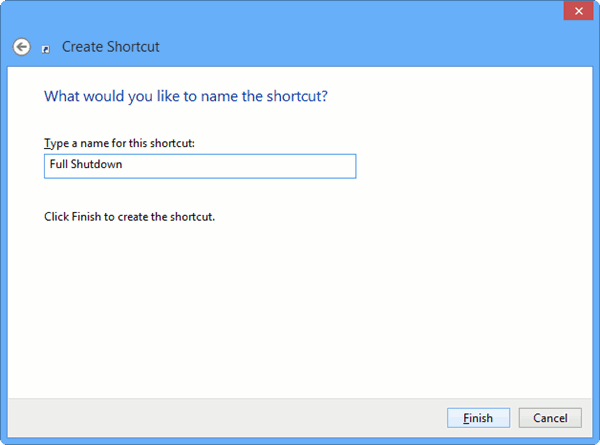 There are no settings to change to shutting down normally, so we have to create a shortcut to do it ourselves. shutdown -F -T ## -C "Your message here"
5. 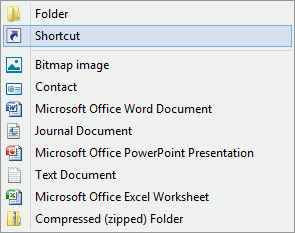 Name the shortcut anything you like. Click “Finish” to create the shortcut. A pop-up will appear to warn you that the shortcut you created has no default icons; click “OK” to continue. 8. Select whatever icon you want to represent your shutdown shortcut. Click “OK” to choose the icon. 9. Click “Apply,” then “OK” to shut the properties for your shortcut. 10. Right-click the shortcut once more. 12. Head to your Start screen and click the shutdown tile. 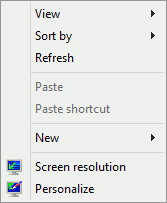 You can now do a normal Windows shutdown whenever you need to by clicking that tile. 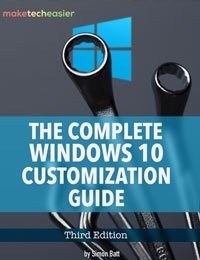 Not all Windows users will need to turn off hybrid boot and shutdown. 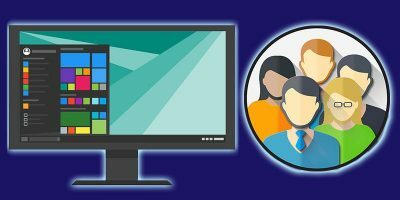 If you are experiencing issues during restarts where Windows 8 lags, you may need to perform a normal shutdown and boot to correct it, and this will allow you to. I gotta laugh at this. Windows has NEVER EVER – not since Windows 98 or before! 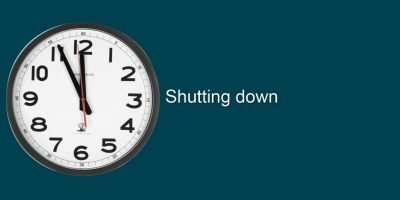 – EVER gotten shutdown RIGHT! Bwahahahaha!! Another place where Linux beats the holy crap out of Windows. I have to agree with you there. 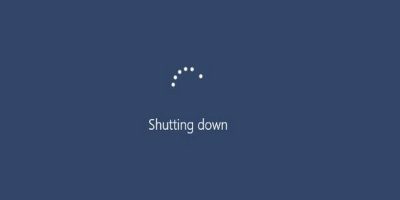 Windows Shutdown has never helped a computer, and hybrid boot while a good idea, it didn’t work out that way for very long for most users. My shortcut doesn’t work. Any Suggestions? Can you e-mail me the string you used for this: shutdown -F -T ## -C “Your message here” to melissa[@]maketecheasier.com? I can recreate it and see if I can figure out what’s going on. Also a number of different numbers. Am running Windows 8 Pro fully updated. Hmm, I used your first string and it worked when I recreated it. None of the others did. Did you get any error message or did anything happen at all? Seriously? The first one will work… the second, NO because you forgot the quotes. The third, NO, because you put a hyphen in front of the 22. The fourth, NO, because of the hyphen and NO quotes around the comment. Duh. I can’t believe Melissa didn’t even notice it. Oh well, it works now! That’s odd. When I use capital letters, it still worked for me as did the lowercase. I wonder if it’s a difference in Windows versions or something else between both our systems. His mistake wasn’t capital letters. All of syntax lines were incorrect, except for the first one which is why it worked for you, but not the others. They were missing quotes, and had a hyphen in front of the 22. Shutdown syntax has stayed the same from XP…there is no difference in systems. 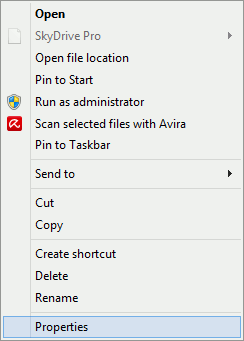 Hi, holding shift while clicking shutdown also results in normal shutdown. Thank you very much! I wasted days searching for on solution to that “Hybrid boot”. Since windows 8 was insalled, I could no more boot my other installed Linux OS. And let’s not forget legitimate reasons why this hybrid boot is a bad idea. I use TrueCrypt encrypted disks that contain my data, with a login script to launch TrueCrypt and prompt for the password to decrypt those disks (the boot drive is NOT encrypted). Any time the computer is “shut down” with the hybrid option, the encryption key is saved to the hibernation file, and then Windows automatically mounts the disks upon the next “startup” without prompting for a password. Needless to say, this is a HUGE security issue, and defeats the purpose of encrypting drives! Also, with hybrid boot turned on, there is no way to “Install updates and shut down” after applying Windows updates; you actually have to fully restart the machine, and then shut it down, which is a PITA in a business environment when you just want to wait until the end of the day, hit shut down and leave the computer to finish installing the updates and turn off while you’re heading out the door. The shortcut button thing never worked, but my computer starts and shuts down great! Thanks for all the help! !